The JIMMY JV83 Wireless Vacuum Cleaner comes in an ocean blue color which makes it looks classy and glossy. It is quite portable and light with a dimension of 119.50 x 25.50 x 21.20 cm and a total weight of 3.44kg. 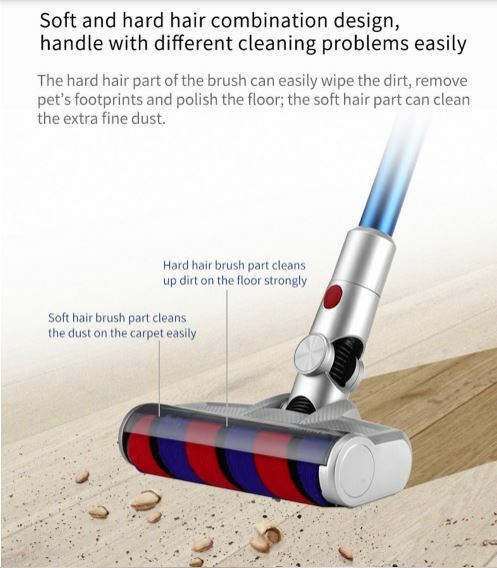 It comes with a dust cup which is very easy to dismantle, and it is also easy to remove the dust cup by pressing and holding the release button at the end of the dust cup. The dust cup capacity is about 0.5L. 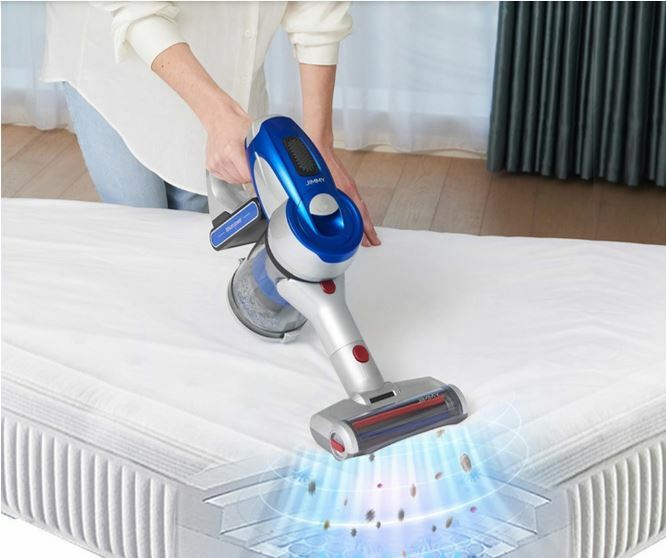 The Vacuum Cleaner uses a brushless digital motor with a speed of up to 100,000 rpm. 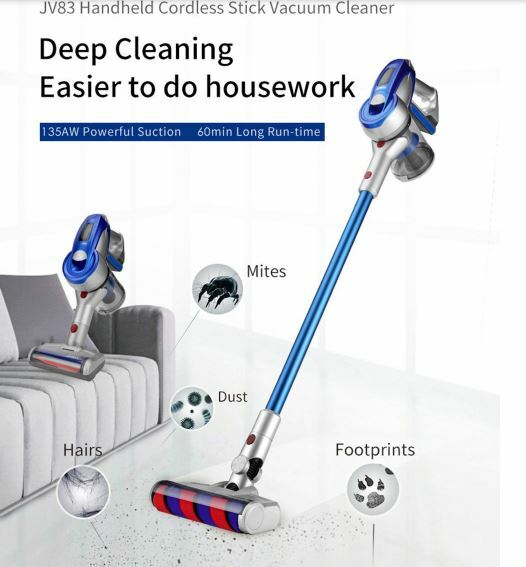 The power of the whole machine is up to 400W, and the effective suction power can reach 115AW. So we can say it doesn’t yield Dyson in terms of power. At the same time, a multi-level tornado air duct system has been designed to match the high-power motors and generate a suction force. In this mode, the motor high-speed rotating air volume reaches 1300 liters per minute. It can even produce up to 20,000 Pa of centrifugal air pressure and efficiently adsorb particles on the ground. It has an efficient filtration HEPA 99.97% removal rate, innovative and extended HEPA design, filter area is larger. HEPA and dust cup seals are more reliable. 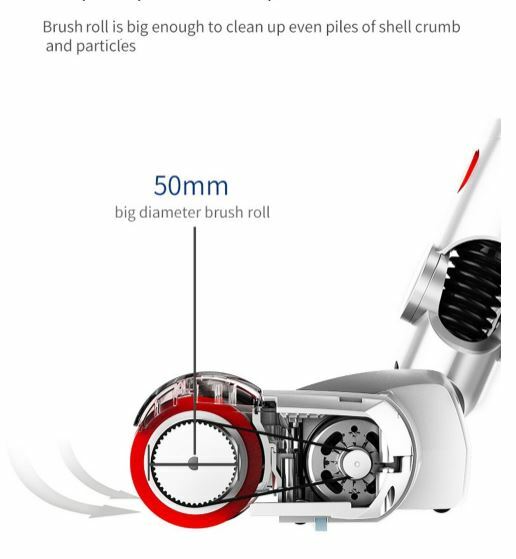 It can filter dust and allergens as small as 0.3 microns by 99.97%, which eliminates the secondary pollution caused by the vacuuming process and is convenient for loading and unloading. Talking about its battery, It features a replaceable large 7 x 2500mAh Li-ion battery. It can be easily replaced, thus doubling the life of the whole machine. The standard gear can last for 60mins and cleaning area can reach 400 square meters. 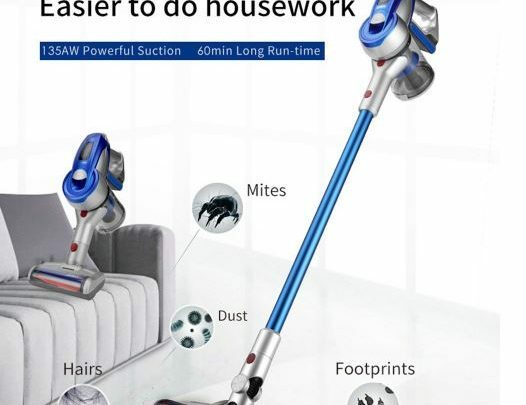 The whole house can be cleaned on a single charge.